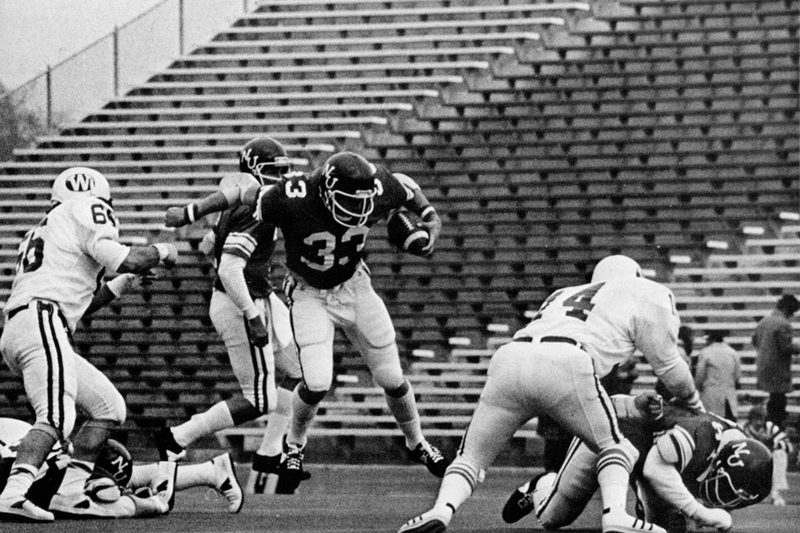 In the last week of a winless 1978 season, Northwestern stumbled to its 10th and final loss in front of an announced crowd of 14,157, which huddled in the stands of Dyche Stadium to watch through the fall fog as Michigan State rolled to a 52-3 victory. A crowd nearly three times that size may take in the Wildcats’ matchup against the No. 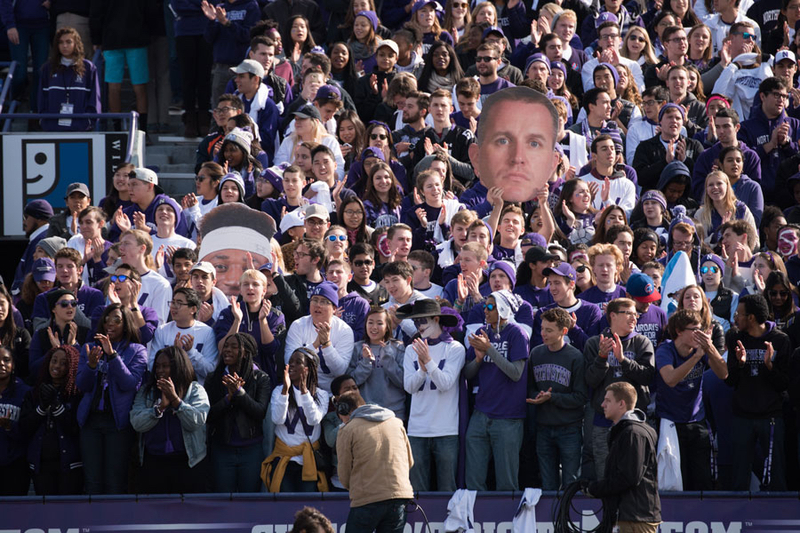 16 Spartans this Saturday at the since-renamed Ryan Field; athletic department spokesman Paul Kennedy predicted a crowd approaching 40,000. The team’s historic yet intimate 47,130-seat stadium has never been and never will be a college football cathedral. At least not in the mold of Michigan’s Big House or Ohio State’s Horseshoe. But after decades of empty seats at a facility that once seemed hopelessly oversized, fans are recently migrating back into the confines on Central Street. The trend defies lingering challenges, including unrelenting holes in the stadium’s student section. But with the program growing across the board and racking up bowl appearances at a rate never seen before, attendance is on the upswing. After crowds hit rock bottom from 1977 to 1980 synchronously with the team’s performance, attendance has waffled up and down in the half-century since. The excitement of the 1995 Rose Bowl run sparked a run of three straight years with average attendances above 40,000. The drop-off that ensued sent that number spiraling back down, with the average dipping below 25,000 in both 2007 and 2009. 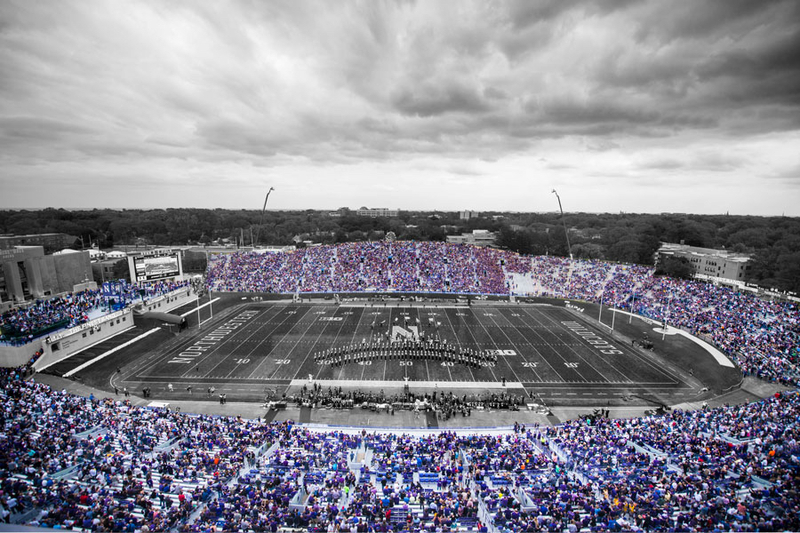 Since then, crowds at Ryan Field have grown even while the nationwide average has fallen for six consecutive years. Propelled by a national primetime game against Ohio State in 2013 and premier home games against ranked Wisconsin and Nebraska teams in 2014, the average nearly hit the 40,000 milestone in consecutive years. This fall, NU has already topped that mark in both of its home Big Ten contests. With three more conference games remaining, there will be no return to the depths of ’78 this fall. 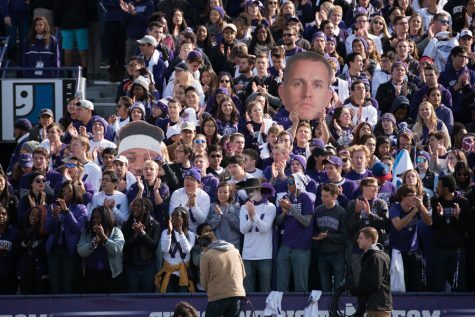 Even as crowds have slowly swelled at Ryan Field, the school’s athletic department continues to run into the headwind of an indifferent student body. Though the men’s basketball team managed to punch some holes in the school’s reputation as a campus hostile to all-out sports devotion, the football program has not had similar luck. As the smallest student school in the conference by far, NU’s difficulties filling the section may come as no surprise. But those who organize Wildside, the Cats’ official student section, are trying to change that fact. Maddy Fisher, Wildside’s vice president, said the group devotes all of its energy into increasing student turnout. “It’s so hard to compete with midterms and everything that’s going on,” the SESP junior said. Timing has also been a force working against NU’s favor this fall. Following a win over Bowling Green under the lights in the annual Wildcat Welcome game, the Cats kicked off their last two home games at 11 a.m., a time oriented toward east-coast television audiences and not necessarily student bodies. The first of those, a Homecoming tilt against then-No. 4 Penn State, brought out a strong contingent of home supporters and a decent crowd of students. Though the Penn State fan base is not known to travel particularly well (at least relative to its size), the game between the Cats and the Nittany Lions was officially played in view of 41,061 fans. The announced crowd at the contest with Iowa eclipsed 40,000 as well, in spite of the early start. But a lackluster showing from groggy students left massive swaths of the student section unused. Fisher estimated 800 students attended the Iowa game, which she said disappointed the athletic department. She said she thinks the team’s current two-game winning streak will boost the student turnout going into this weekend’s matchup against Michigan State, set for a mid-afternoon kickoff. “Eleven a.m. games are interesting because I think if you’re going to show up and stay for the whole game, it’s because you’re sober,” Fisher said, noting that night games allow students to do homework during the day. Junior linebacker Nate Hall said the team always would like to see more people in the southeast corner, where the student section looks onto the field. For all the uncovered aluminum in the student section, the overall trend in attendance remains positive, particularly given the depths to which the football team has fallen at times over the years. University archivist Kevin Leonard, who graduated from NU in 1977, hasn’t forgotten the ghosts of 1970s Dyche Stadium. It proved a brutal decade for the program on the field, as the Cats averaged fewer than two wins per season from 1972 to 1980. Few seemed interested in watching the squad scuffle. Surrounded by scores of vacant seats at the stadium one day, Leonard decided to go for a walk, he recalled. Today, the souls are back. The crowds still pale in numbers when compared to hordes that fill Nebraska’s Memorial Stadium or Michigan State’s Spartan Stadium. Five Big Ten stadiums can seat more than 80,000, and three more seat more than 60,000. Only one, Ryan Field, holds fewer than 50,000. But NU is not last in the conference in actual attendance this year, which is more than the school has been able to say for the majority of recent history. The days of crowds well below 20,000 turning out for games against vaunted Big Ten foes have faded into footnotes in record books. And Hall, the linebacker, said Ryan Field can shake on a Saturday with the right group in the stands.